Hi friends! 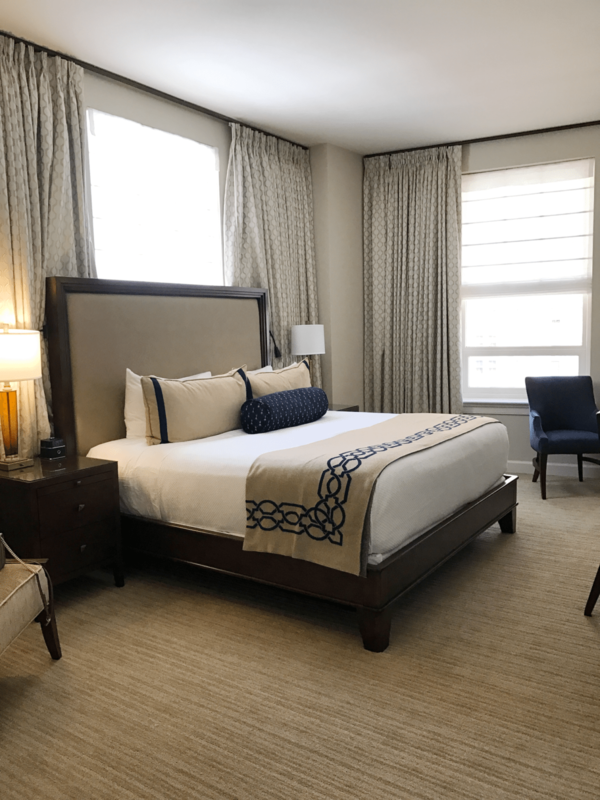 Welcome back to Day 2 of our trip to New Orleans! 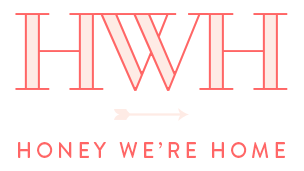 (If you missed it, check out Day 1 here, including a recap of the hip, new hotel we stayed at). Just getting away was amazing, but waking up in a new city with a whole day to play and explore is so exciting! The next morning we got up early to make a 7:45 AM reservation at Willa Jean for breakfast. No one was super thrilled about waking up so early when we’d had been out late the night before, but that was the only time they had and we really wanted to go there. We figured we could eat and then walk around and sight see and if we wanted to, take a nap later! So, tired eyes and all, I got up, threw on this comfy tank dress (only $34 and doubles as a swimsuit coverup) and headed out the door! It’s a quick walk from the hotel to the restaurant and getting out in the fresh air helped wake us up. 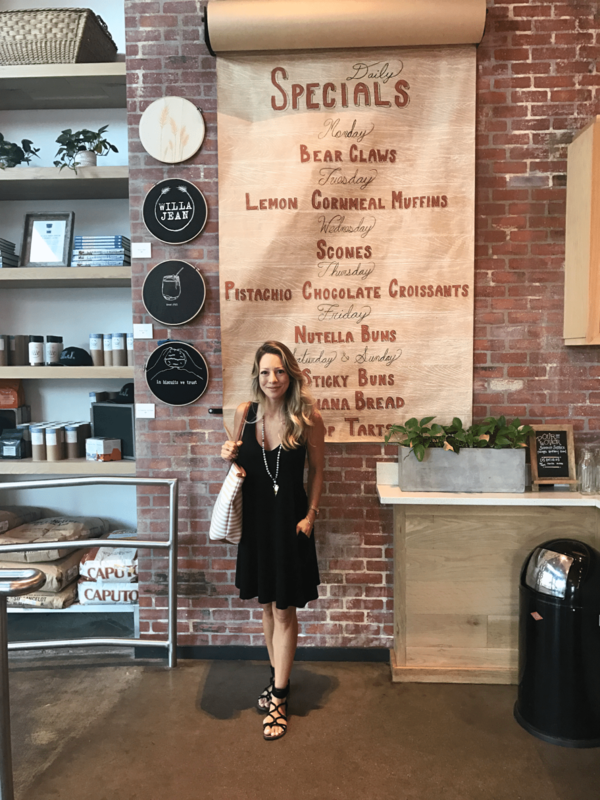 Willa Jean is a lovely spot to enjoy all kinds of fresh baked goods as well as dishes with fresh, local ingredients. 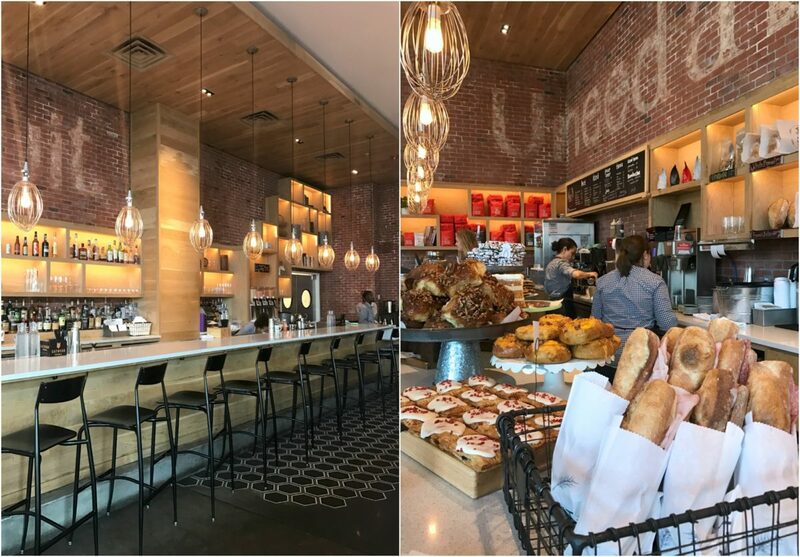 They serve lunch and dinner too, but it’s a particularly hot spot for weekend breakfast and brunch. When we walked in for our 7:45 a.m. reservation, we were a little disappointed to see the restaurant quite empty (thinking we could’ve slept in! ), but our experience there was still worth getting up for! 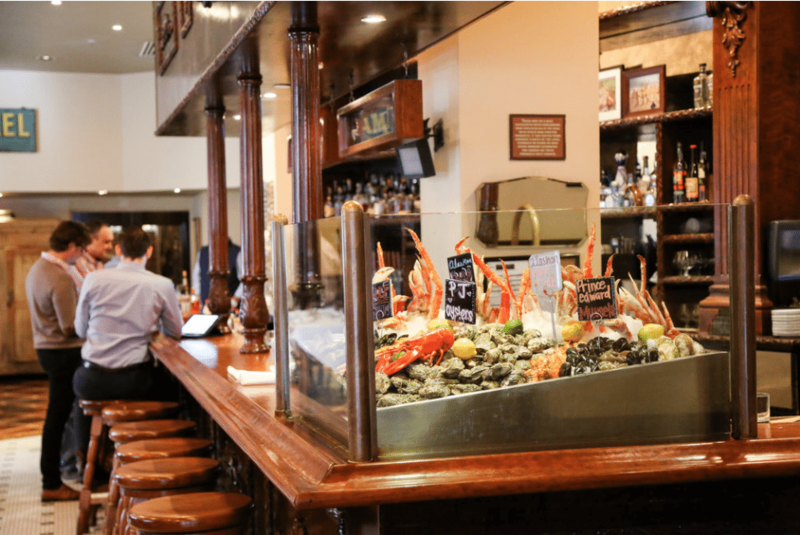 The restaurant is very quaint with lots of big windows and natural light with a relaxed, casual vibe. 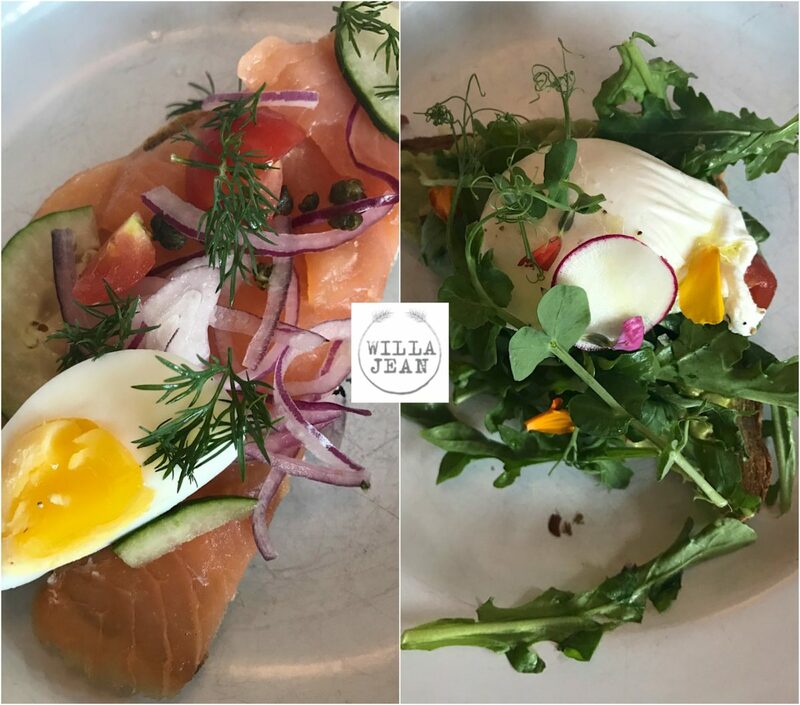 Willa Jean is one of those places where you want to try one of everything on the menu because it all looks so good! 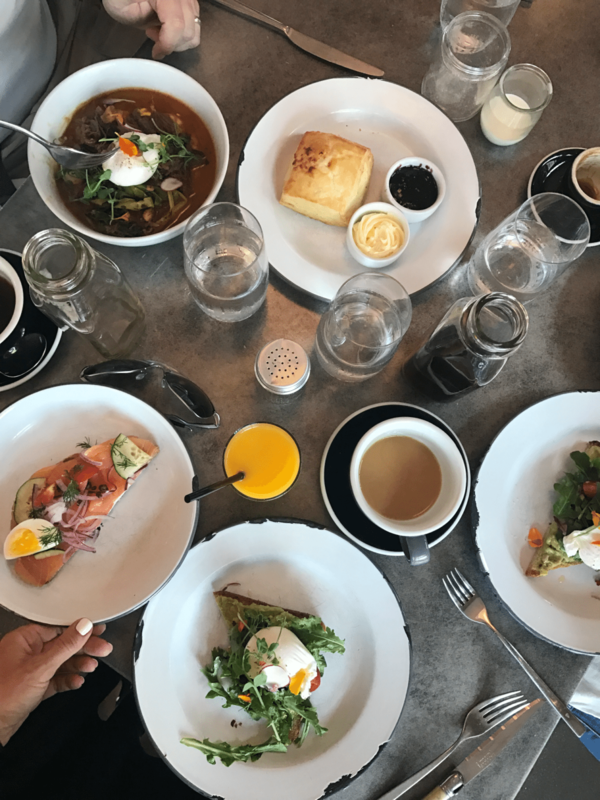 I tried two different kinds of toast (one with avocado and egg and another with salmon and lox), enjoyed pour over coffee a fresh biscuit with butter and jam and my hubby had the shrimp and grits (with etouffe gravy and a slow poached egg). The BBQ shrimp toast looked super yummy too! 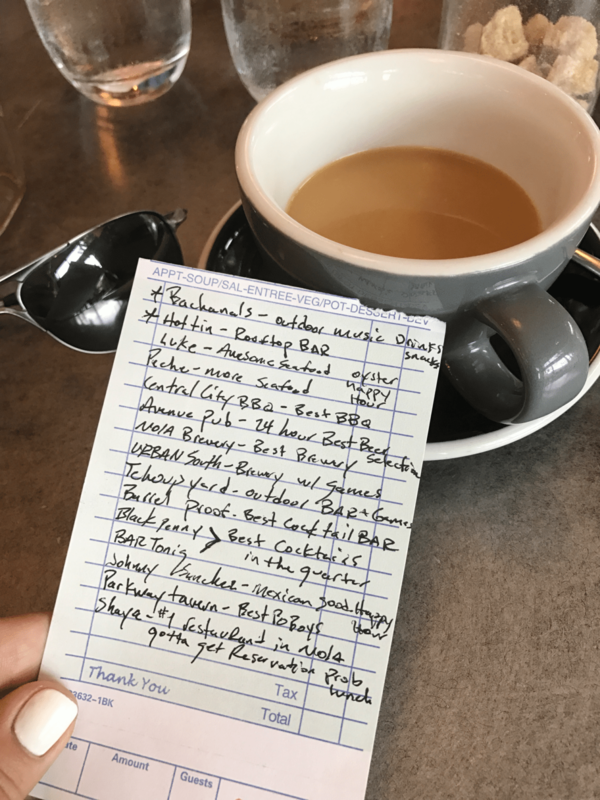 Our waiter was so helpful and when we asked him for recommendations for where to eat and drink he wrote us out this list of places to go. Isn’t that hospitality?! We ended up trying two of his suggestions for after dinner drinks! 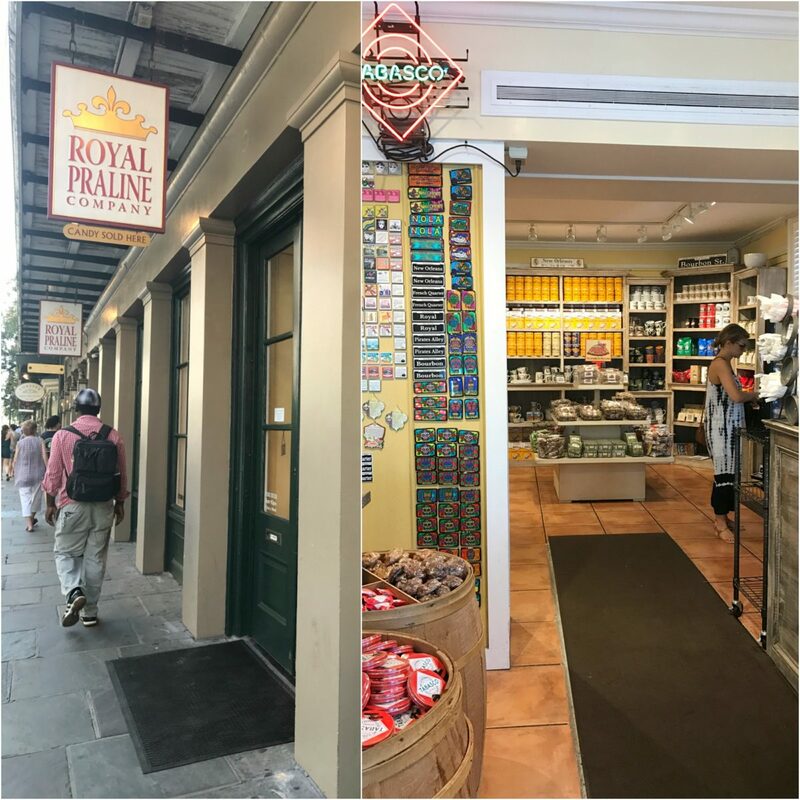 After breakfast we took a stroll through Jackson Square and the French quarter, popping in and out of little shops along the way. My girlfriend and I both picked up these fun button-fly, split leg jeans and can’t wait to show you them styled soon! They were under $80! 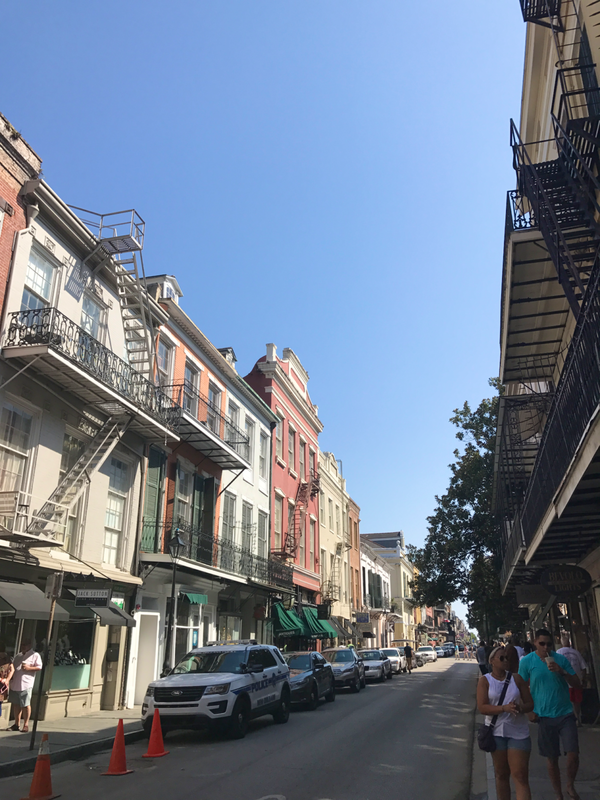 NOLA is known for its colorful row houses and historic architecture, so just walking around and taking it all in was fun. I also have to mention, the local people of Louisiana have the best accents! If you’ve heard it, you know what I mean. I could listen to it all day! The people are just awesome! 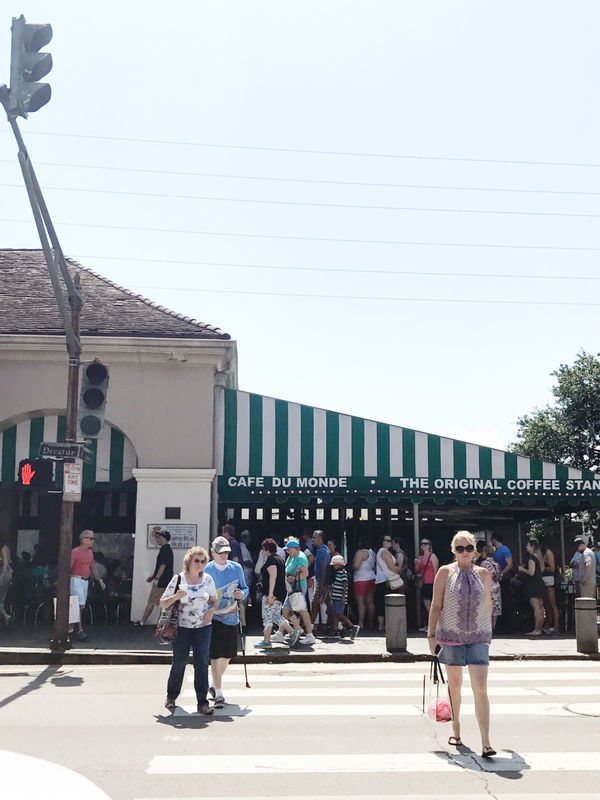 Café Du Monde houses the best beignets in town, but we didn’t get a chance to stop. 🙁 I’ve had them before and can attest to their deliciousness! If you’ve never had a beignet, you’re missing out! 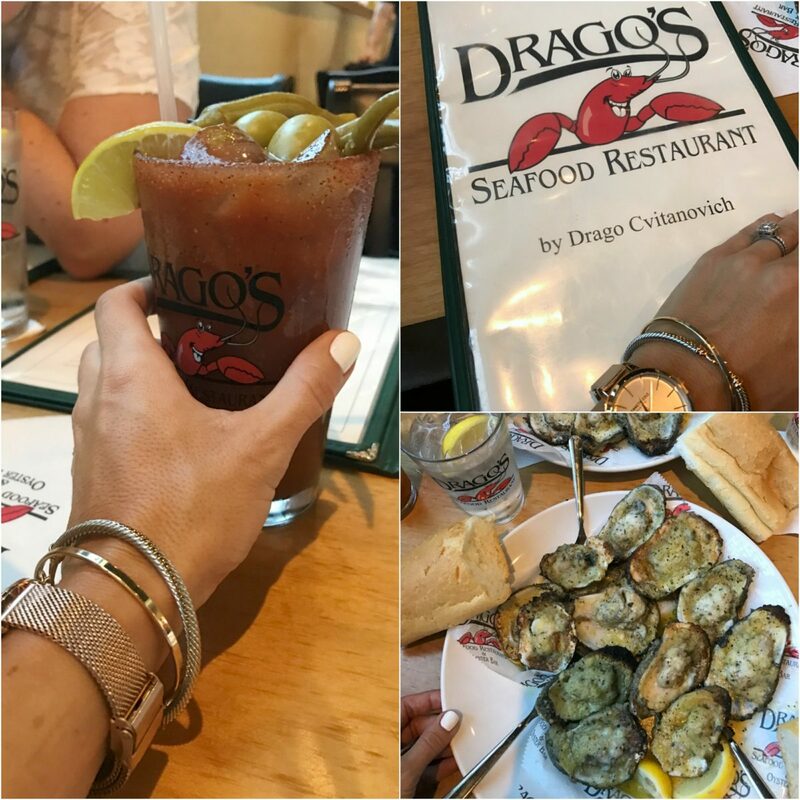 We had to go to Drago’s for lunch because they have the BEST charbroiled oysters! As the name suggests, they are fresh oysters topped with butter and garlic and smoked to chargrilled perfection! We were joking that anything would taste good with that combo, but we ended up ordering three platters and then lunch. The lunch wasn’t as good as the oysters, so I’d say stick to those here. After a big meal like that and more walking around in the blazing sun and humidity, it was siesta time! 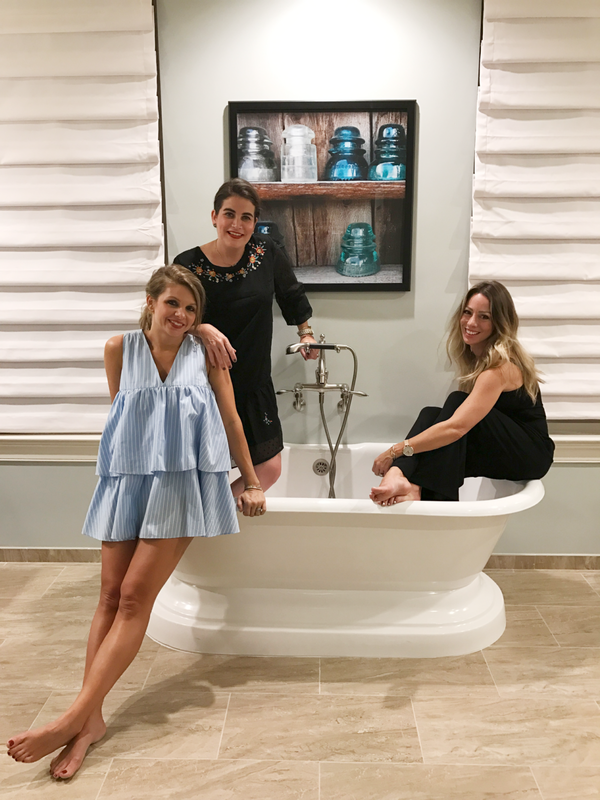 After getting some beauty sleep, we got all freshened up and ready for dinner. I got to wear this jumpsuit that I got at the Anniversary Sale. It’s a thick material with shoulder straps, a sassy mesh bust panel, and very comfortable for dinner. It runs TTS, I got XS but sizes are currently limited. I’d check back though if they don’t have your size because they keep restocking this one! 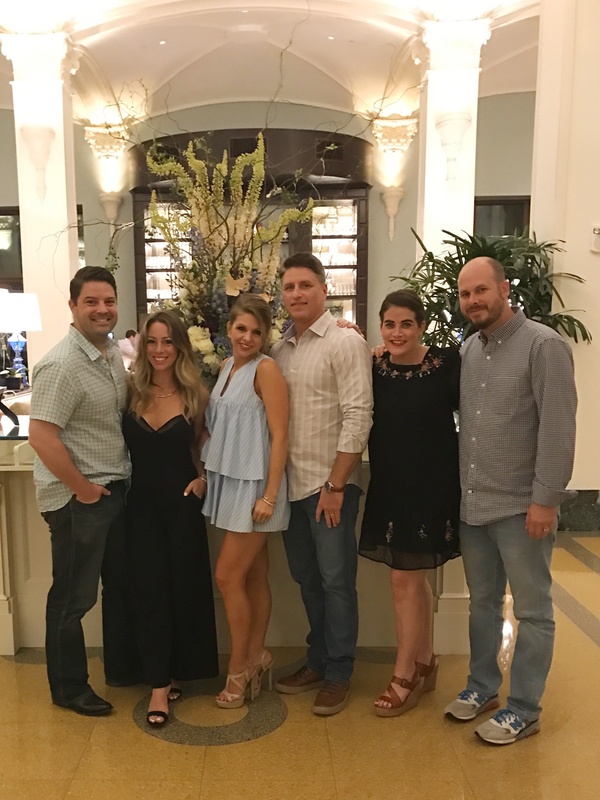 My friend Angela got lots of questions about her dress that’s actually a shorts romper! 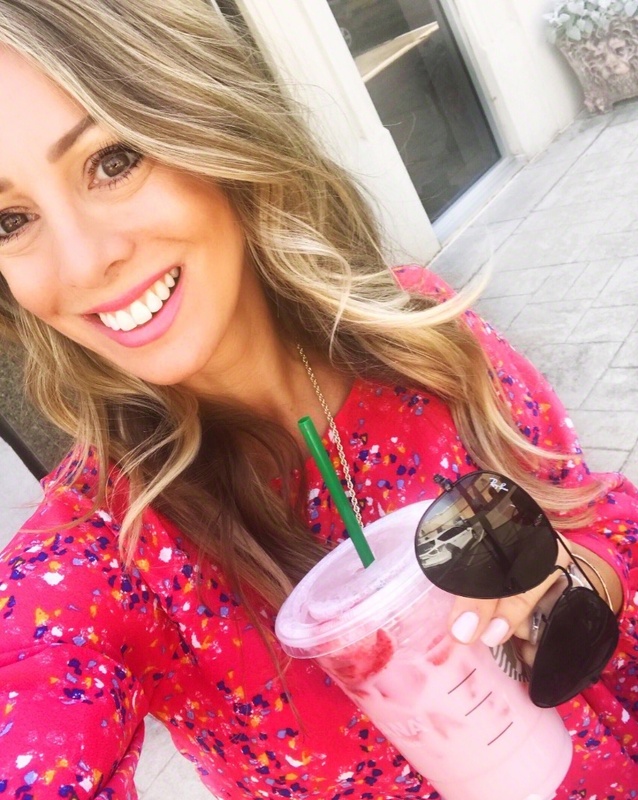 It’s from Zara from earlier this summer, but unfortunately no longer available. We made reservations at Shaya, the current best restaurant in New Orleans, but our reservation was outside and it started raining, so it got cancelled. 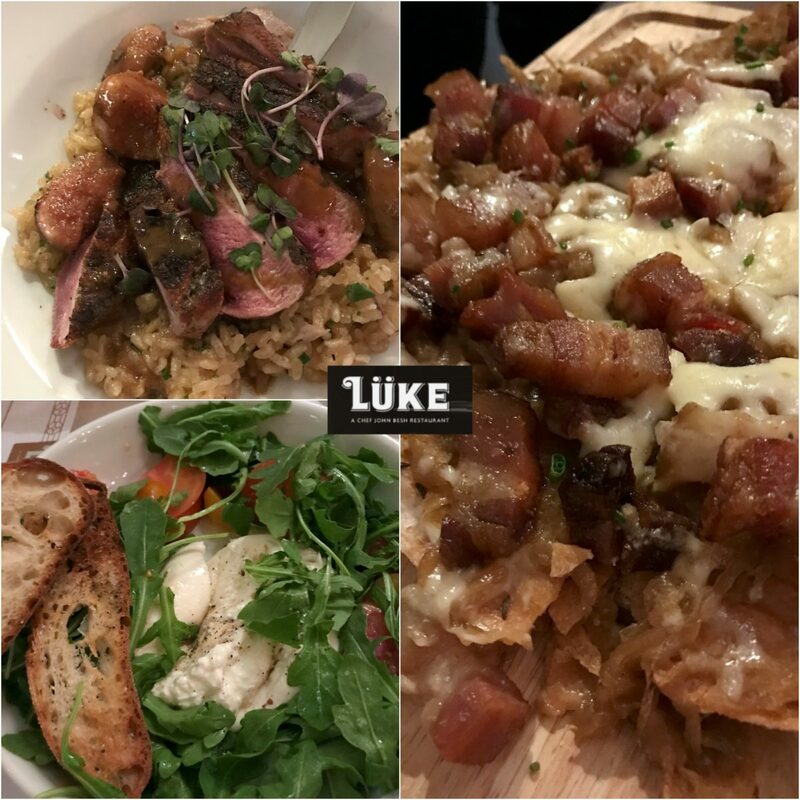 We ended up with our second choice, Luke by John Besh, which was out of this world! 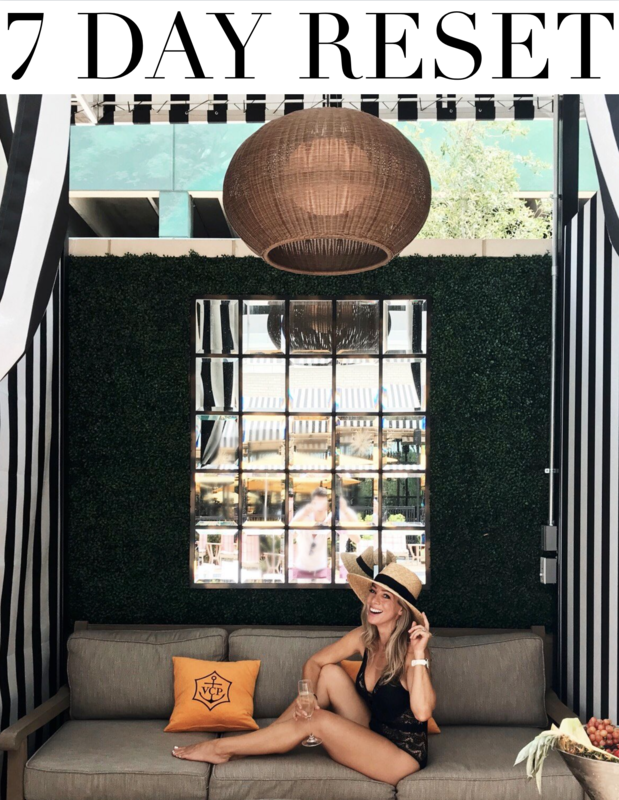 The food was the kind you just want to sit and savor because the flavors are so good! I got the Duck, Duck Rice with figs and crispy rice and I’ll be dreaming of that dish for days! The burrata and heirloom tomato appetizer, crispy brussel sprouts and tuna tartare were all better here than anywhere I’ve ever had them. I didn’t snap a picture of our dessert, but we practically licked the plate of our s’mores torte. It’s a deconstructed s’more with butterscotch ice cream. Holy yummy! After dinner, we tried two of the suggestions from our waiter at Willa Jean: Bar Tonique (a neighborhood dive bar with a full book menu of cocktails) . 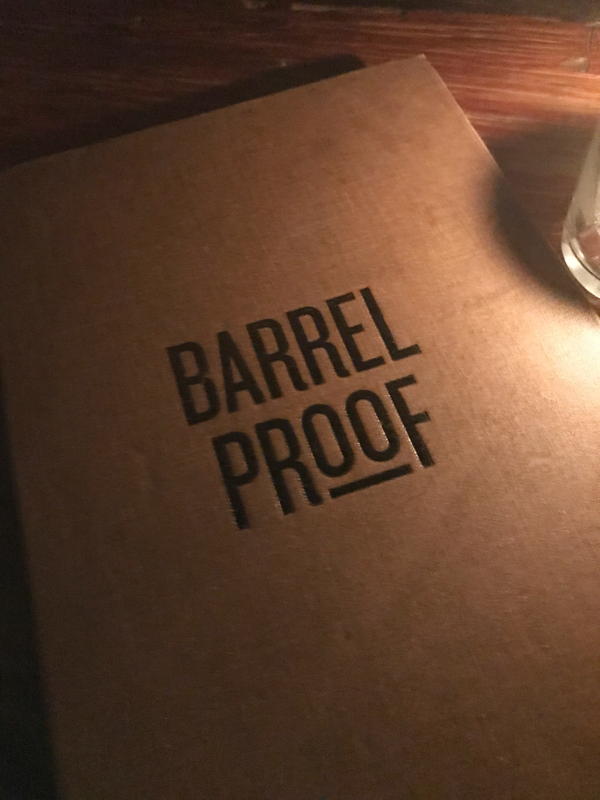 . .
and Barrel Proof, a cool bar that really knows their whiskey. I’m not a whiskey drinker, so I got a champagne cocktail. What a day! 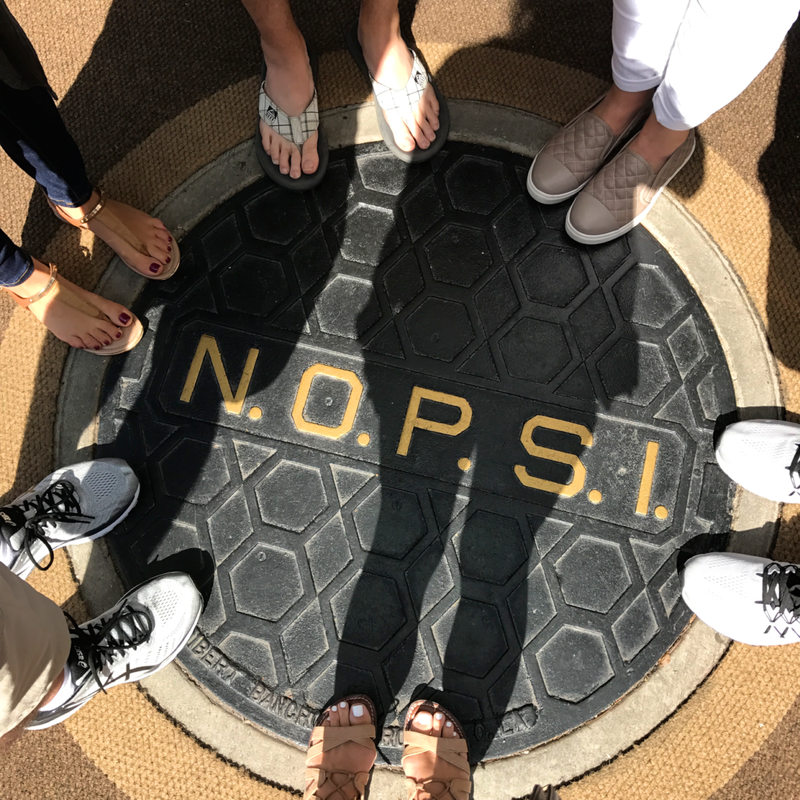 NOLA was so good to us and some of the funniest moments happened back at the hotel when we took our shoes off and relaxed in the room. Our flight home was early the next afternoon, so we only had time for breakfast before heading to the airport. 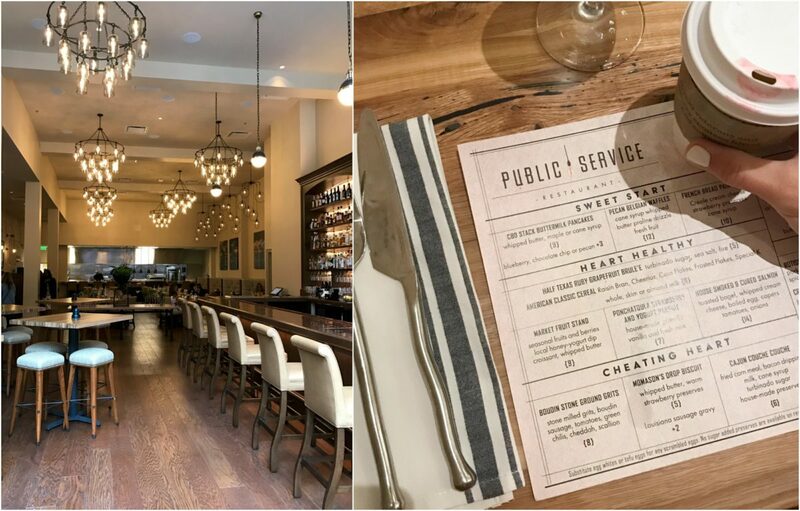 We ate at Public Service, the restaurant in the hotel before heading out. 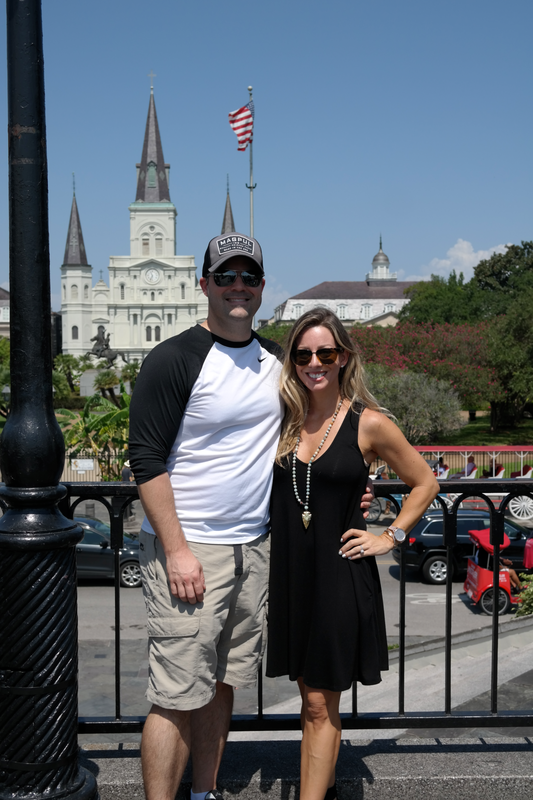 Thank you New Orleans for showing us such a great time! We can’t wait to go back! Oh I’m so excited you enjoyed my hometown where I was born & raised! Those suggestions from the waiter @ Willa Jean were spot on👌🏻! 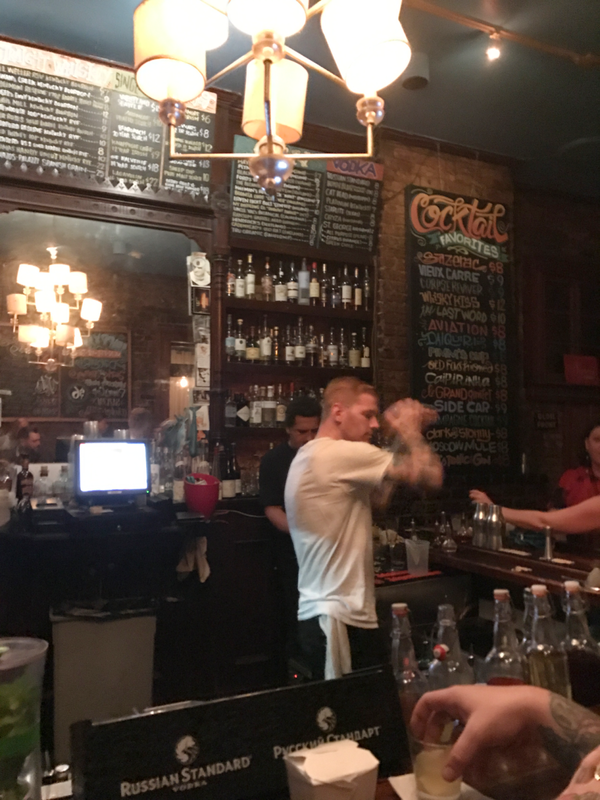 Shaya is amazing and so hard to get into… def a must the next time you come back! Sounds like such a fun get away! Stay safe with this hurricane! I’m worried about my brother & sis in law who live in West U. 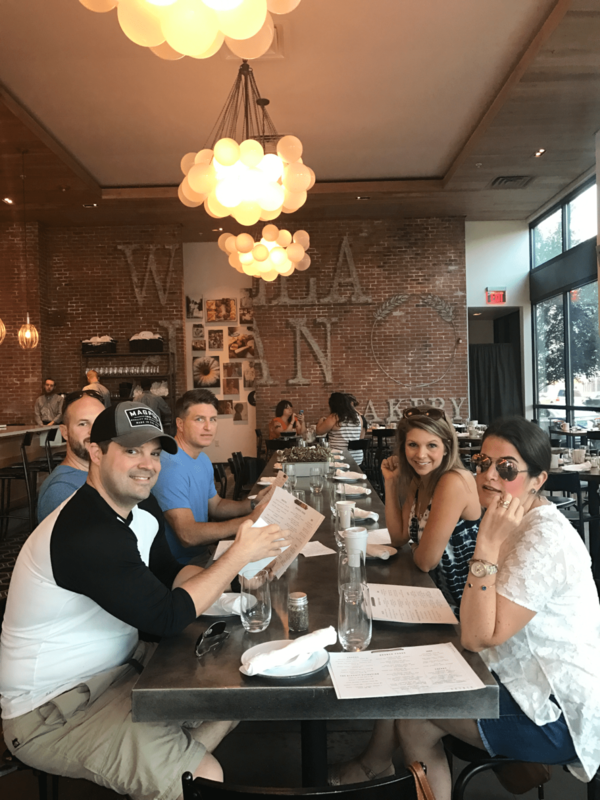 Our waiter at Willa Jean was so helpful! How sweet of him to go out of his way to write out that list! I wish we had more time there, even one more day would’ve been awesome!